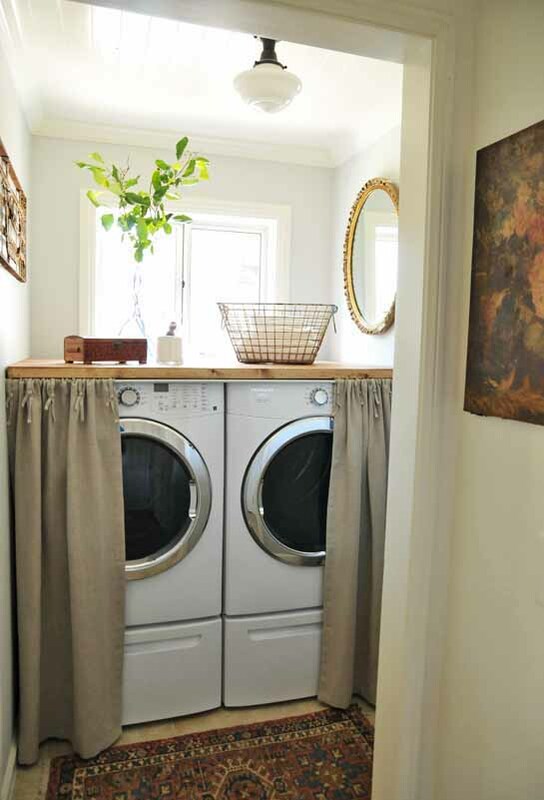 Not everyone has a laundry room with lots of space. 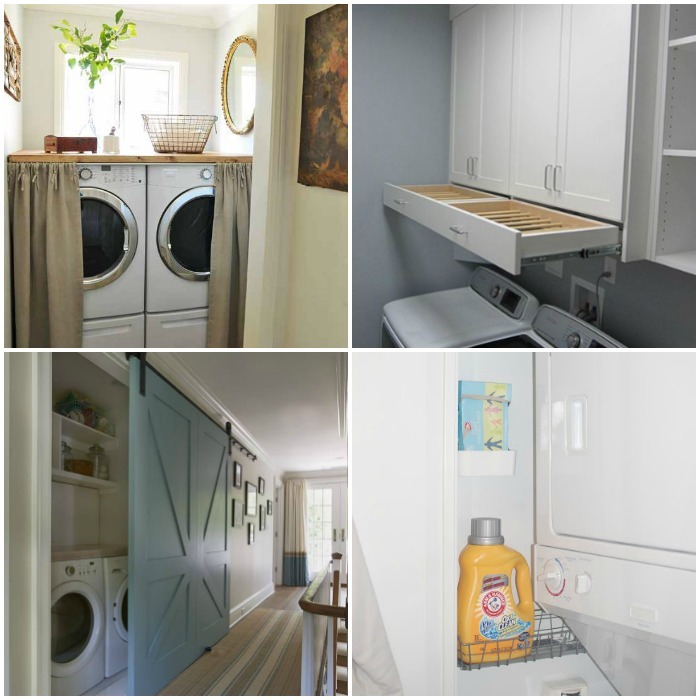 Personally, we have a laundry closet, which poses its own challenges. It’s small, short on storage space and there’s just not much to work with. 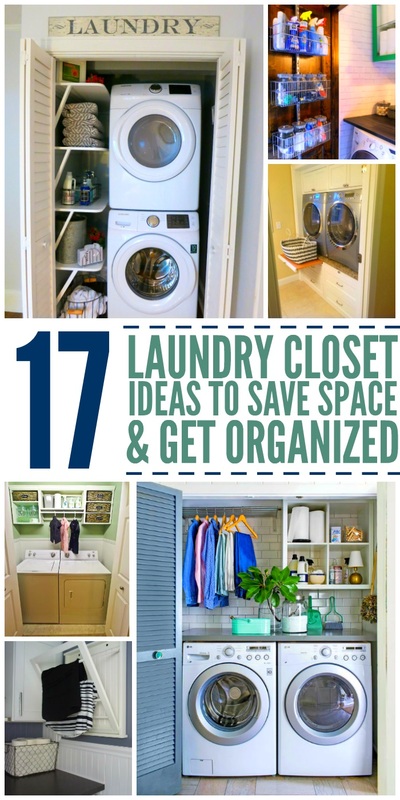 But thanks to these clever laundry closet ideas, I now know how to maximize the space I have. 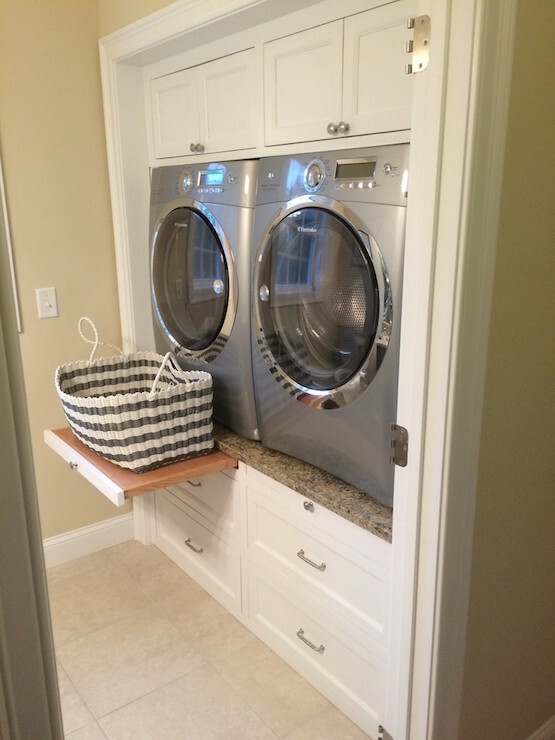 A stackable washer and dryer saves considerable room, allowing you to install shelving off to the side. If your machines are side-by-side, add a countertop for folding space. 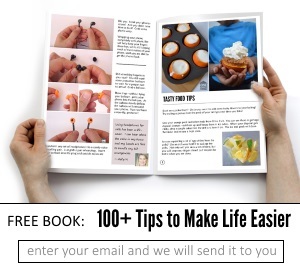 You’ll wonder how you ever lived without it! Do you have a couple of inches of dead space between your units? Add a pull-out shelf! You can store your bottles in that space! 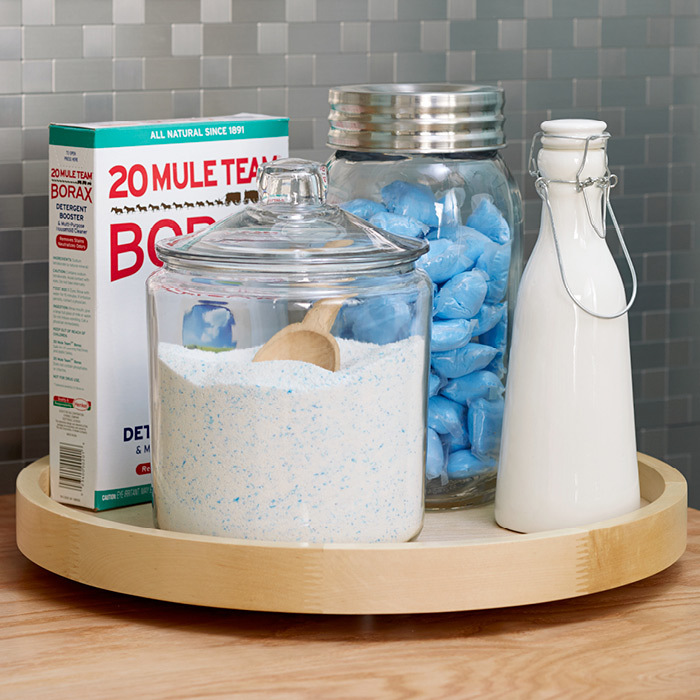 Use a Lazy Susan hold your detergents, fabric softeners, dryer sheets and stain removers. 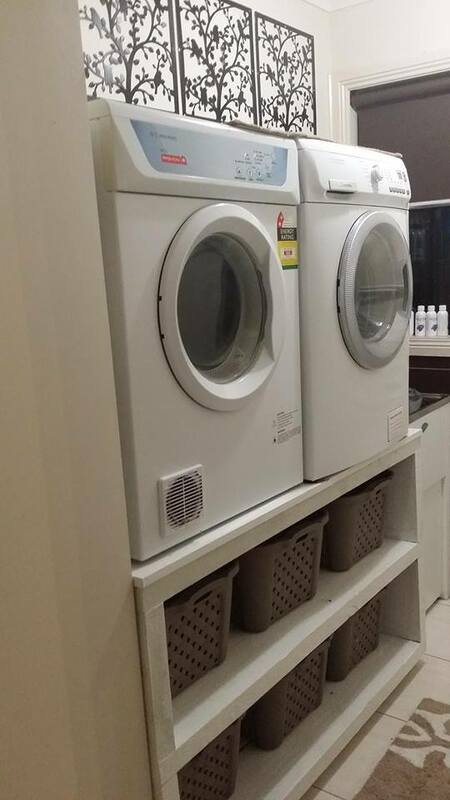 It can sit on top of the dryer without looking cluttered! 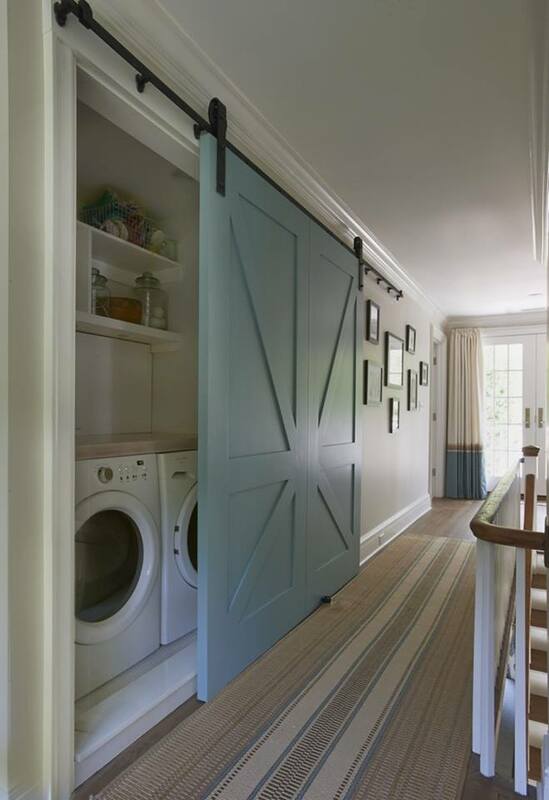 Instead of traditional closet doors, install sliding barn doors for a streamlined look that gives you full access to both machines. Isn’t that gorgeous? 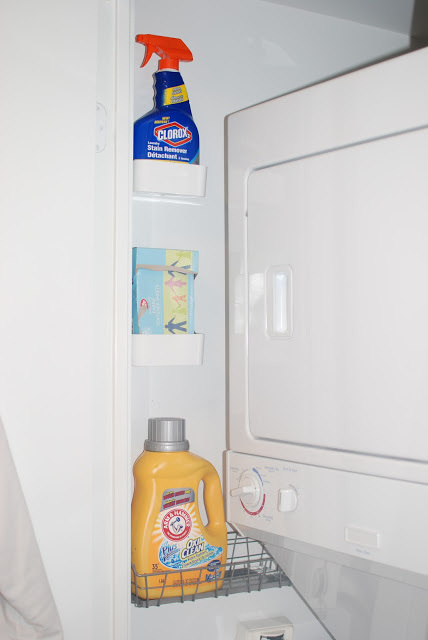 Add caddies to the side wall to hold your detergents and other laundry products. A fold-out drying rack gives you space to hang things to dry without taking up lots of room. 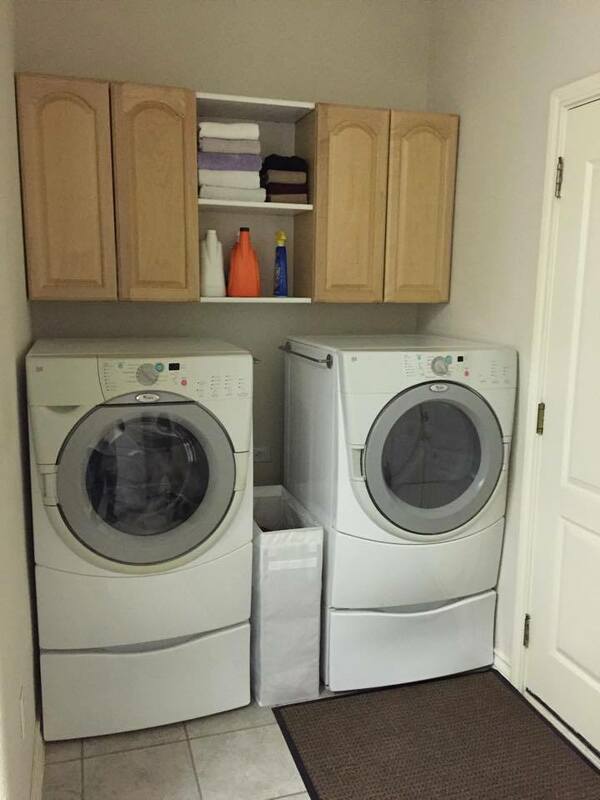 Add shelves below the washer and dryer to hold all of your laundry baskets. Bonus: No bending over to get clothes out of the dryer! Install a hide-away drying rack above the machines. 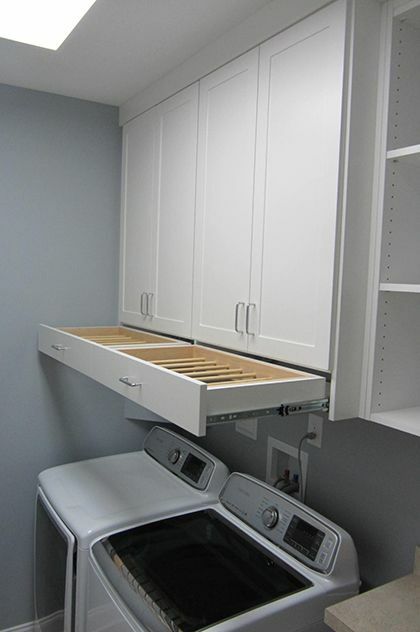 This homeowner added shelves between the cabinets and found a slim basket to fit between the washer and dryer to make use of all available space. Smart! You should absolutely make use of valuable door space. 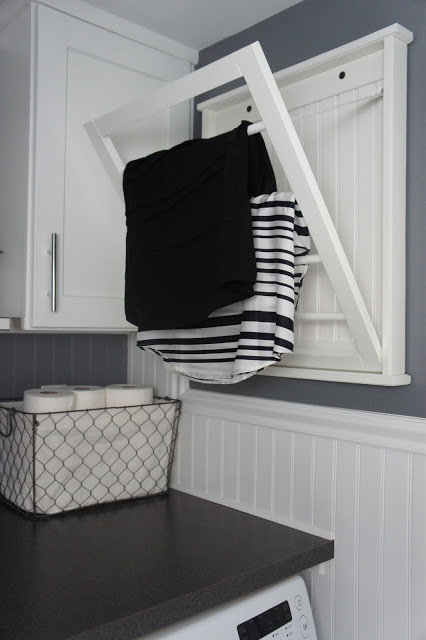 Hang an over-the-door organizer on the inside of the closet doors to keep your laundry products. The slide-out folding area in this unit is so clever! 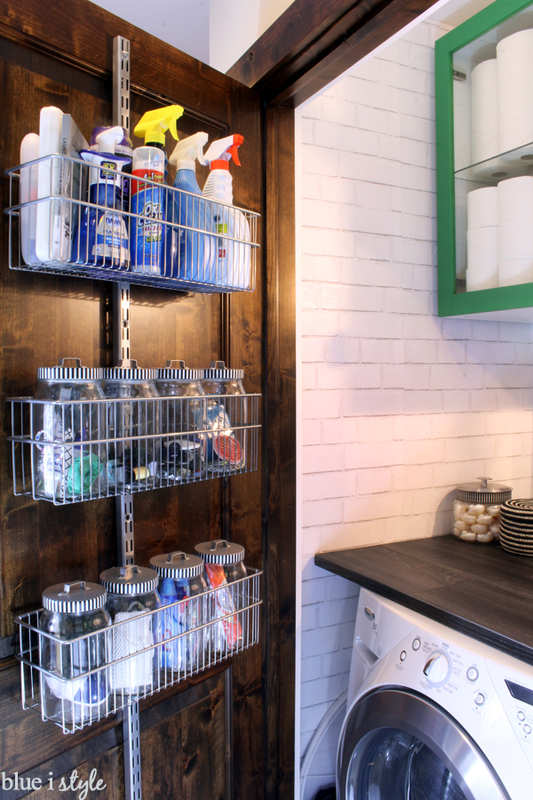 Everything is tucked away in cabinets or drawers, so it looks clean and streamlined. 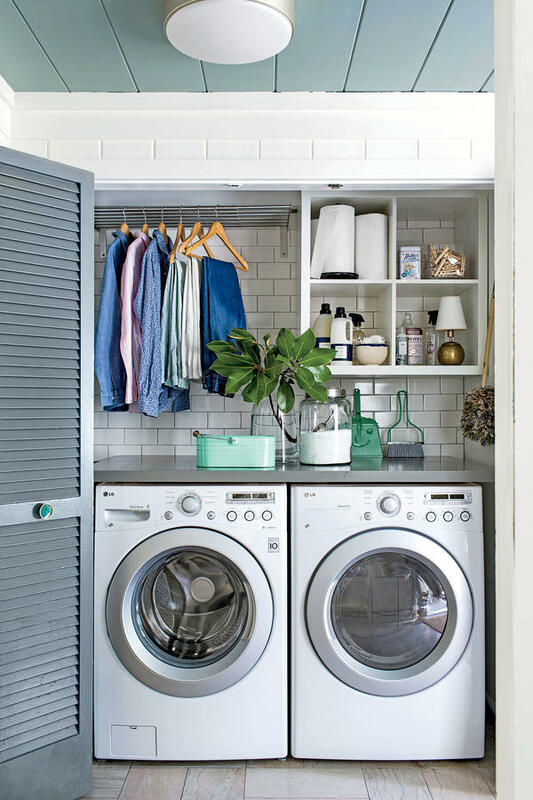 Even if you don’t need the extra storage space, a shelf above the machines can help you add decor to soften the laundry room so that it doesn’t look so utilitarian. 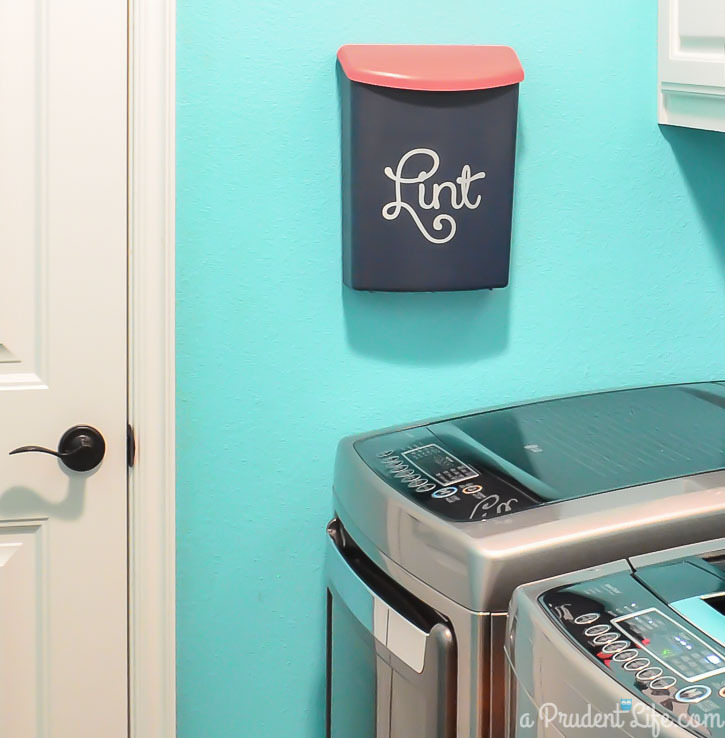 If your laundry closet is nowhere near a trash can, install one on the wall to hold lint and dryer sheets. Empty it when it’s full. It’s so much more convenient than running down the hall when you’re in the middle of doing laundry. 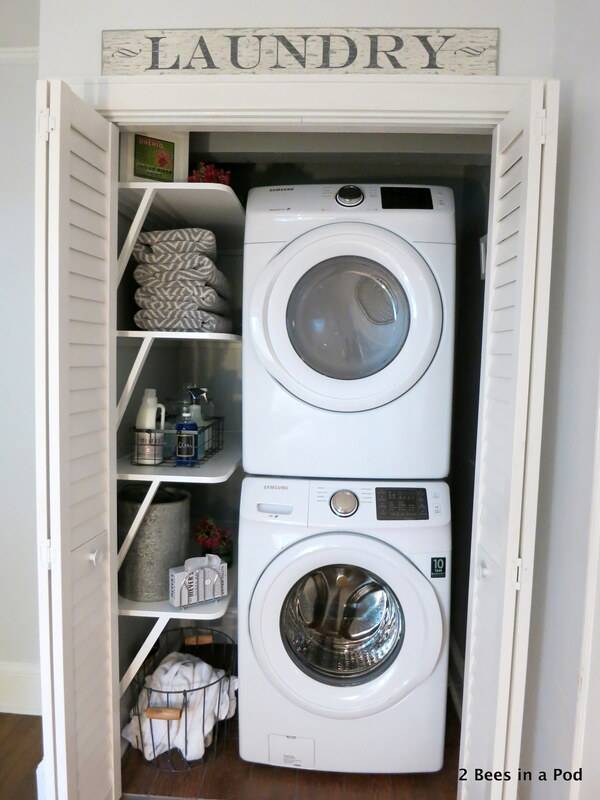 You don’t need a big budget for a laundry closet makeover. This was done for under $100. Can you believe the difference? A deep-set hanging rack and cube shelves offer plenty of storage and clothes-drying space even in a small laundry closet.